The answer is, we use an open-source platform called "Midgard." We picked it nearly ten years ago, and it has held up fairly well. One of the things we like about Midgard actually makes it rather unsuitable for many simpler publishing scenarios: it is highly object-oriented. This allows us to run multiple sites off largely a single codebase -- at the cost of quite user-unfriendly administrative and authoring facilities. Also, Midgard is very much a development platform, and we have had to create a fair amount of custom code, especially to handle structured content. In that regard, our CMS experience probably resemble yours. As an industry we remain very far from plug-and-play content management technology for all but the simplest of websites. 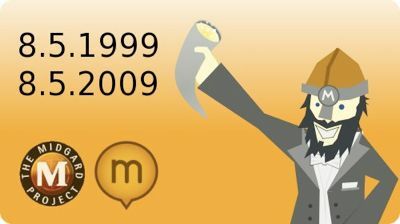 While the post contains many negative points about older Midgard (the UIs are a bit better now than they used to be, quite a lot of development has since been happening especially in the LTS branch), it is remarkable that CMS Watch has been able to run their services through the same CMS setup for ten years. This really shows the durability and commitment to long-term stability we have in the Midgard community. We've been doing this for more than ten years, and will likely keep going for quite a bit longer. As for usability and popularity of Midgard, there is quite little we can do about it in the Midgard1 area, as that is now in long-term support phase that won't allow major changes. But Midgard2 is a new world with new opportunities. Midgard's content repository is pretty much there already, as is the MVC layer, and this spring we should be able to unveil the new, quite revolutionary CMS concept as well. Watch this blog for updates! 22 June 2006. 1 minute read.